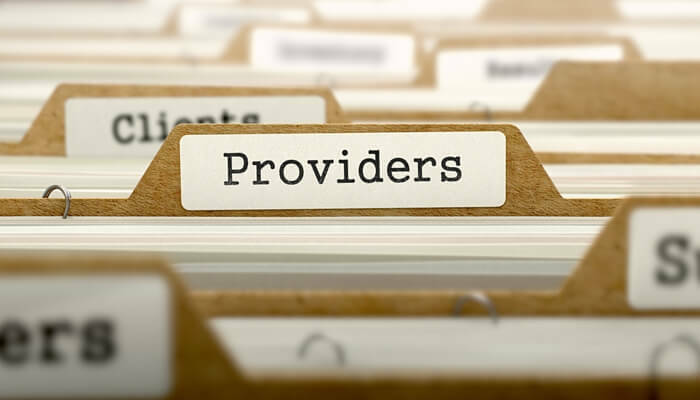 Business telephone service, Internet connectivity, and Data center solutions are distinct services, so you might assume your company is best off using a different provider for each. In our era of specialization, the best quality services are often those who are masters of their niches and nothing else. On the other hand, there are situations where the best value is obtained by recognizing where specialties overlap. Sometimes working with one vendor is the way to get the most for your money. When it comes to telecommunications, these services all hinge on one key point of overlap: bandwidth. There are many reasons to consider using fewer telecommunications providers. Let’s take a look at some of the primary advantages. Let’s set aside your budget for a moment and consider the economics of running a telecommunications service. The costs involved are substantial, and they are naturally passed along to customers as factors that influence pricing. It, therefore, follows logically that the more providers you use, the more overhead you’re subsidizing. In contrast, when you do business with one company that’s capable of providing the same services that three or more could be doing, a larger percentage of your spend goes towards the actual services themselves. Consolidated telecommunication service providers like Atlantech likewise benefit from these economics and can often offer lower prices than others. The more service providers you have, the more service providers you have to manage. You can save significant time by dealing with a single service provider. In the best-case scenario, you’ll be able to talk to one representative from that one company for all your telecommunications needs. Moreover, with all services coming from one provider, you will be able to exert far less internal effort. Whether it’s a matter of paying bills or training your staff on the systems when you have fewer companies to deal with, you make your own work and that of your team far easier. When you bring all of your telecommunications business to one company, your account with the service provider becomes all the more valuable. That means that you have the ability, simply by virtue of the number of services that you are using, to negotiate excellent rates. After all, if you get treated as anything less than a VIP, you can take your business elsewhere. From the provider’s perspective, having more business and offering a higher diversity of bandwidth-enabled products means operating on a larger scale. This translates into increased buying power when it comes to network infrastructure, which, in turn, means more leeway to offer services at lower prices. Everybody wins. When it comes to managing work processes, there’s a lot to be said for familiarity. When you have one service provider for multiple products and services, there’s considerable value to be found in your ability to turn to the same people – via the same interfaces, no less – for help. This builds higher levels of trust in the relationship, but it also makes for dramatically greater efficiency. In this regard, consolidating to one provider yields a more comfortable customer experience than navigating several different service providers and their interfaces. The benefits, of course, accrue concerning the staff that handles your telecommunications. Given the current state of dependence on network connectivity for online business, phone lines and accessing remote servers, your team’s level of familiarity with your system is going to correlate with smooth operations. When you hand your telecommunications needs over to one company, you benefit from the provider’s capacity to streamline your services. You also enjoy the advantages of increased spending power. When your business can approach one point of contact for all bandwidth-related services and maintenance, your operations gain efficiency. There’s a lot at stake here, from your interactions with providers to budgets for essential utilities to the mood of your office. Every situation is different, but there are some compelling reasons to opt for one service provider who can attend to all of your phone, Internet, and cloud or colocation services. If there’s anything we can do to help you make the best decision for your team, feel free to reach out – we’d be happy to talk. 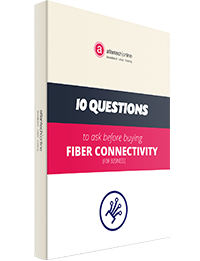 Get all the information you need to make the smartest decision for your business' telecommunications.